Visual Studio extension for creating NSIS and Inno Setup installers. It integrates NSIS (Nullsoft Scriptable Install System) and Inno Setup with Microsoft Visual Studio IDE and allows you to create and build NSIS and Inno Setup projects right within Visual Studio. Visual & Installer installation package also contains Graphical Installer Wizard - optional tool for creating cool-looking skinned NSIS and Inno Setup installers (based on Graphical Installer) directly in Visual Studio. 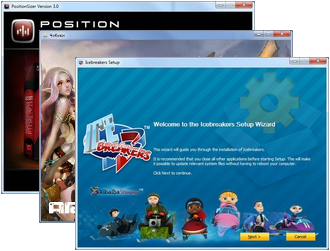 With it whole installer can be created by a few clicks - No manual writing is necessarry! 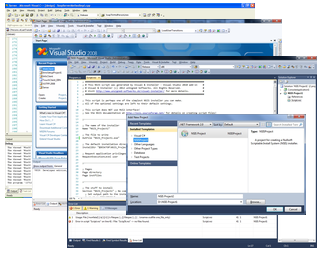 Visual Studio 2005, 2008, 2010, 2012, 2013, 2015, 2017 support + 2019 NEW! VS Setup and Deployment projects (*.vdproj) import/conversion! Create great looking installers with custom design directly from your preferred IDE! We are working hard on the product and we are improving it every day. If you find any bug please report it! If you have any ideas, suggestions or issues with our product please let us know! Download Trial version from our website. See Features page for a list with all features and FAQ page for Frequently Asked Questions. Copyright © 2019 unSigned, s. r. o.